Hexagon Classics had something for all tastes at this year’s Salon Privé (3-6 September), with classics ranging from a 1966 Maserati Mistral 4000 to a 1970 Mercedes Benz 280 SE 3.5 Cabriolet, a Jaguar E-type 4.2-litre Series 1 Fixed Head Coupe and a 1972 Aston Martin AM Vantage. Highlight of Hexagon’s collection is its 1972 Ferrari 365 GTB/4 Shooting Brake (top), entered in the Post-War Coachwork concours class. Commissioned by Luigi Chinetti (Coco), Jr it features coachwork by Panther Westwinds. Built at a cost of approximately four new Daytonas, this particular 365 GTB/4 was the 805th off the line. A standard Berlinetta, it was finished in Rosso Dino with a Nero leather interior. When completed, it was shipped to the United States and received by Chinetti Motors in the US. 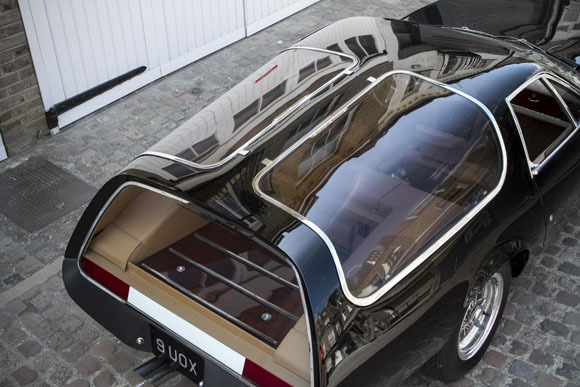 The idea to turn it into a shooting brake came about in the early ‘70s, when real estate developer Bob Gittleman asked for something a bit different — and Coco was only too happy to oblige. With the drawings completed, Coco decided on Panther Westwinds in Surrey, England, and two years later the car was shipped to the UK. 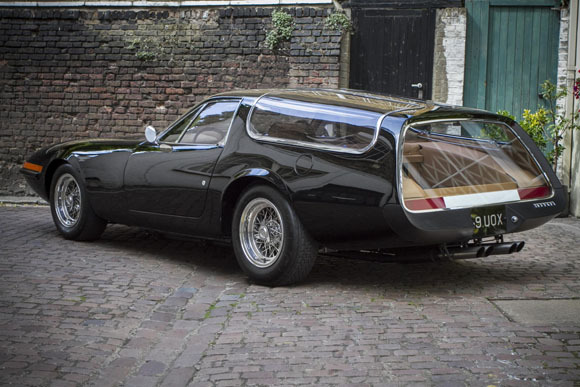 Panther Westwinds modified the Daytona into a striking shooting brake. 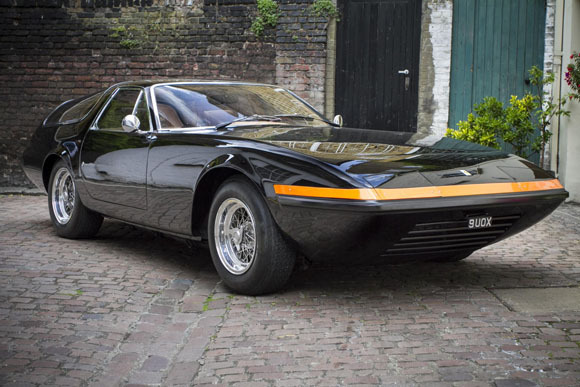 Unlike traditional shooting brakes, this Daytona estate avoided a traditional rear tailgate by using gullwing-style rear side windows for access to cargo. Delivered to Gittleman in Florida in 1975, it remained in his possession until 1980. The car passed through various hands, including those of Texan car collector and race team owner John Mecum, and was then acquired by New Jersey Ferrari collector Bill Kontes in 1988. A decade later it was with a different owner in France. Hexagon Classics acquired the car in 2014 and set about a comprehensive restoration, employing the very same artisan who built the car while working at Panther in period. It has also benefited from a bare metal repaint and mechanical restoration by an official Ferrari service agent – and is in concours condition. Another Italian car capable of turning heads is Hexagon’s 1966 Maserati Mistral 4000 Coupe (below). Offering the highest horsepower of the Mistral series, this model has a 265bhp 4.0-litre straight six-cylinder engine. Painted in its original colour of Argento Auteuil and supplied new to a Mr Luigi Serra of Genova, Italy on the 22nd April 1966, this particular Mistral is one of only 298 produced and is presented in superb order today. 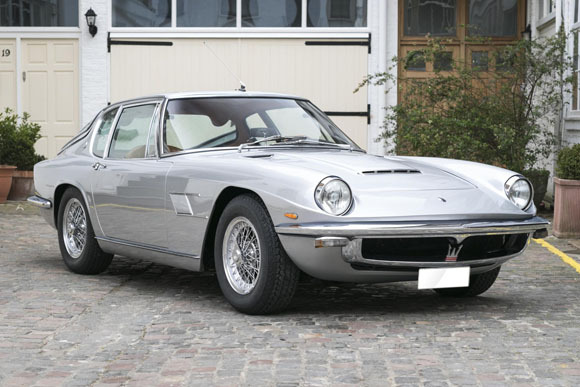 It has benefitted from sympathetic restoration and remains thoroughly original, coming with the original owner’s manual and maintenance manual among other documents, plus also Maserati Classiche Certification. 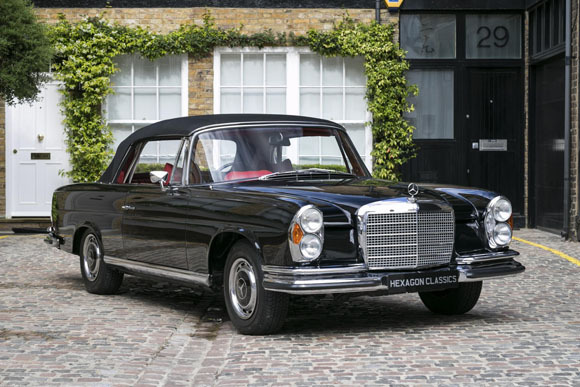 One of the best four-seater convertibles ever made is this 1970 Mercedes Benz 280 SE 3.5 Cabriolet (below). Presented in near concours condition, it is also extremely rare being one of only 68 right-hand-drive cars produced. Offering a thoroughly modern and easy to use driving experience, with a snug-fitting six-layer convertible top, excellent sound-deadening and a whisper quiet V8 engine along with power steering, it also benefits from the highly desirable option of a floor-mounted four-speed automatic gearbox, power windows and front head rests. 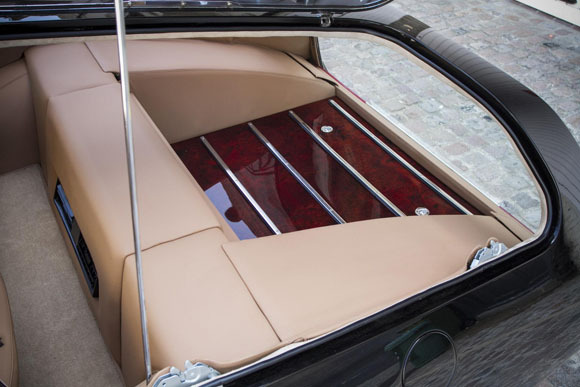 Many people’s idea of the perfect classic car is the Jaguar E-type – and one of the most desirable examples is on Hexagon’s Salon Privé stand, a 4.2-litre Series 1 Fixed Head Coupe (below). Combining the classic lines of the original with a noticeably better driving experience, this particular car was completely restored in 2013. 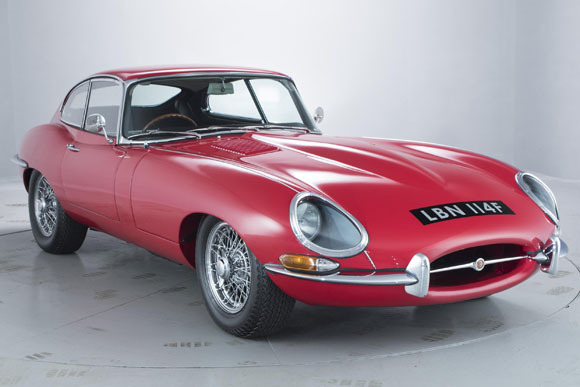 Like all 4.2-litre E-types it received a number of improvements over its predecessor, with an all-synchromesh gearbox, better brakes and more supportive seats. Of course, though, the highlight is the 4.2-litre engine, with its greater torque and refinement. 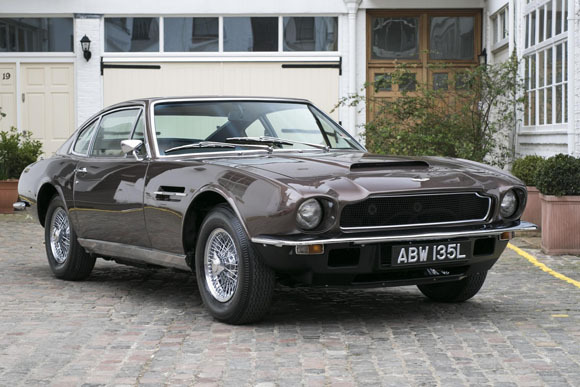 Another British icon is thiss Aston Martin AM Vantage Coupe (below). One of just 70 cars produced, it comes in Cairngorm Brown with Connolly Natural Hide and was supplied new on 18th September 1972. Its last owner, a British Airways Captain, has had the car for 19 years and has maintained it through Oselli Engineering, who recently rebuilt the engine to 4.2-litre unleaded fuel specification. Hexagon has carried out a bare metal re-paint and a complete re-trim using the correct Connolly Hides throughout. With the car also getting a final mechanical sales preparation by an official factory Aston Martin Heritage Service Centre, it is now ready to be enjoyed to the full by its new owner.